It was snowing when I started writing Make Me Crave, my April release with Dare. Setting the story at a tropical Caribbean resort took some mental gymnastics to pull off! Luckily, I had a solid amount of research and many, many photos for inspiration. Since my leads were flying out of New York, I wanted to keep travel time relatively low. The Caribbean fit my needs perfectly. Sandy beaches. Bright blue water. The warm sun on your face. What’s not to love? The inspiration for the actual resort, however, came from several real-life places in the Maldives. These places offer private villas with their own beaches, amazing food and drinks, and a wide range of activities to keep people occupied. A setting like that creates an atmosphere begging for seduction and throwing inhibitions to the wind. What happens in paradise stays in paradise, right? Except when it doesn’t! Within moments of landing on the beautiful Hawaiian island of Maui, I knew I’d be setting my next book there. In fact, I couldn’t wait to get started on it! Maui has to be one of the most visually stunning places I’ve ever visited. From the state parks to the crystal blue water beaches to the lush greenery, every sight is simply breathtaking. The vividly colorful sunsets have particularly stayed with me. Everyone is so friendly and warmhearted. Local residents are proud of their island’s lavish history and culture. I heard so much about various folklore and legends, some of which worked its way into Clint and Rita’s story. Each day of my Hawaiian holiday seemed more magical than the last and I can’t wait to go back. Maui is truly a perfect setting for two people to fall in love! One of the loveliest things about writing for True Love – apart from researching swoonworthy heroes obviously – is choosing the most romantic settings imaginable for our heroes and heroines to fall in love in. And when it comes to romance, for me, Italy wins hands down every time: beautiful people in beautiful clothes, the most musical language, thousands of years of dramatic history, delicious wines and incredible food – and that’s before we get to the stunning scenery. From majestic mountains and lakes to hilltop villages, olive groves to stylish cities, ancient ruins to gorgeous villas, and miles upon miles of some of the most beautiful beaches in the world, Italy really does have an unfair share of picturesque and absurdly romantic locations. No wonder I return there time after time both fictionally and in person! 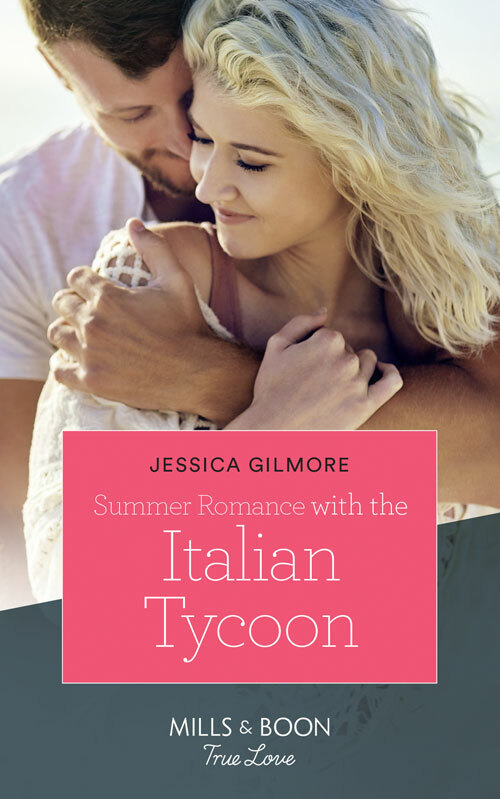 In my latest book, Summer Romance with the Italian Tycoon my hero and heroine, Maddie and Dante, first meet by a mountain lake and from there the story moves to a beautiful medieval castle in the heart of the Dolomites and on to Verona and Lake Garda. I wrote this book during a long, wet autumn and it was an absolute joy to be transported to a hot Italian summer every day. I hope wherever and whenever you read it, it transports you there too. I’ve been to a lot of amazing places and I want to go to Greece. I’ve never been. It’s been on my bucket list forever, ever since I was a little kid and spent my summers on the Danforth in Toronto. My grandparents had a house right in the heart of Greek Town in Toronto. My aunt and uncle went on a vacation there and brought me back dolls in traditional clothing. I still have the dolls! I love the food, the people and I’ve been to many a Greek wedding! Both as a guest and as a bridesmaid. It’s a lot of fun as a bridesmaid! I love Greece and it’s my dream to go to the islands and Athens and just soak it all in. Which is why Tina Beckett, Annie O’Neil, Amalie Berlin and myself chose Greece as the setting for our Hot Greek Docs book. We all loved the romantic setting of the Greek Islands. Greece is definitely on my bucket list! When I was a child, I loved spending Sunday afternoons at my grandmother’s house watching old movies. My very favorites were anything starring Audrey Hepburn. I wanted to be Audrey! (I guess I still do. A girl can’t go wrong with her as a style icon!). I imagined myself in those movies, singing on the Eiffel Tower, dancing in Montmartre, floating around the Louvre in red chiffon. I thought Paris must be the most magical, elegant, romantic place in the world. It took me a few years to get there in person, but it was so worth the wait. Paris did not disappoint, even with my high expectations. It was as beautiful, elegant, and magical as I dreamed. I’ve collected Eiffel Tower ornaments for years, so of course it was the first thing I wanted to see. A few hours after the plane landed, I stumbled in a jet-lagged haze out of the hotel. And there it was. The Eiffel Tower. It was real, and right in front of me. Soaring up like delicate lace into the bright blue sky, so graceful, so familiar and yet so much more. I started crying, dribbling croissant crumbs on my blouse, so very un-Parisian. I knew right then that I had to set a romance in Paris. There was no more perfect backdrop for two people fining their soulmates than the City of Light itself. Just like Paris, Diana, Alexandra, and Emily are beautiful, elegant, independent, strong, and full of joie de vivre—and their heroes are every bit their match. I hope you enjoy spending a little time in my favorite city with me. Vive la romance—en Paris! As soon as I started planning Surrender to the Ruthless Billionaire, I knew I wanted to set the story in Spain, but it was the personality of my hero Luis that really made me choose Segovia as the backdrop for his turbulent romance with Cristina. Like the city of his childhood, Luis is beautiful, unspoilt and with a complicated history. And like it’s most famous landmark, the imposing, cliff-hugging Alcazar fortress- which by the way is supposedly the inspiration for Sleeping Beauty’s castle in Disneyland- Luis is not nearly as impregnable as he appears! Beneath a limitless blue sky, Segovia sits among the foothills of the Sierra de Guadarrama an hour north of Madrid. It is home not just to the famous fortress, but the last Gothic cathedral built in Europe and a World-Heritage listed Roman aqueduct. And best of all, if you visit in September you can let your imagination run as wild as mine at the annual Hay literary festival.